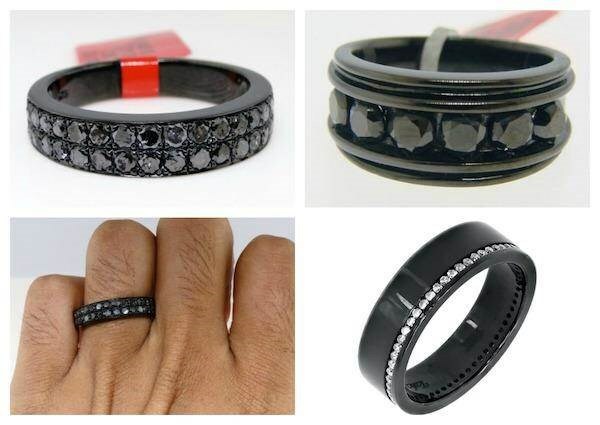 If you are looking for a black wedding ring, then you have come to the right place! 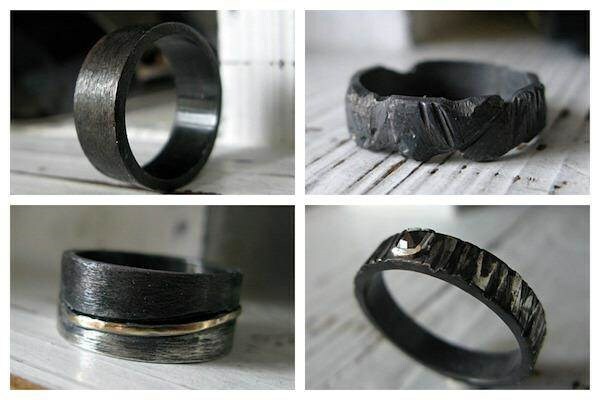 We are quite dark souls here at Misfit Wedding, so these black rings really appeal to us and hopefully the suggestions below will give you some inspiration if you also have a penchant for goth...... actually, you don't even need to have a Gothic bone in your body, just so long as you think a black band on a ring finger looks the business! These colourful options are a tiny selection of the huge choice of rings available. 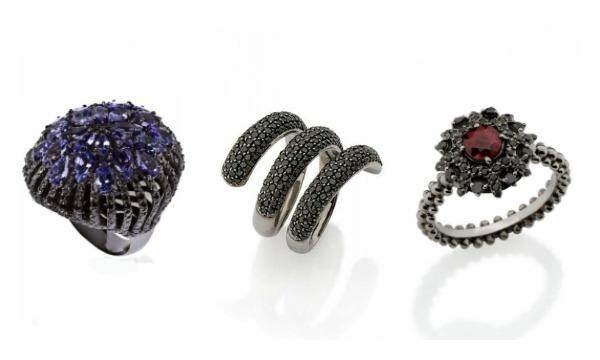 The next rings are the work of Garo Celik who painstakingly handcrafts his jewellery in his New York workshop. Rings from Jewelry By Garo are built to last a lifetime and more! If you prefer your fingerware a little more rustic and quirky, Andy's House have some great ideas which may well appeal to mechanics, gearheads and Steampunk enthusiasts! As well as gears and nuts, you can find starfish, hearts and mushrooms amongst Andy's other designs. The beauty lies in the simplicity of Jess and Nick from Epheriell's work. This married couple are very passionate about what they do and their eco friendly jewellery speaks for itself. These oxidised silver rings will change colour from grey-black to a smoky silver over time. 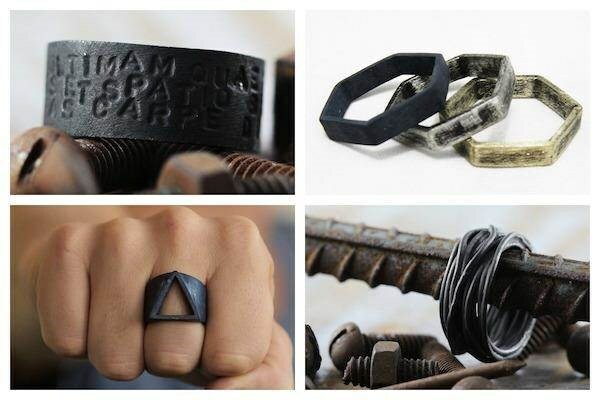 For some interesting one-of-a-kind oxidised rings, take a look at Rustic FOR Men's collection. 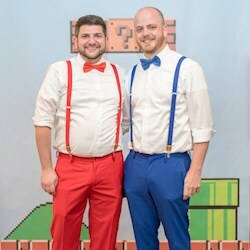 If you don't find what you're looking for in the shop, you can always put in a custom order request. 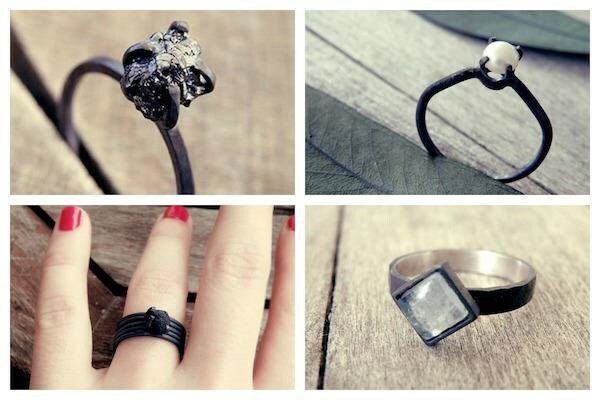 Claudette Treasures make beautiful, nature inspired, minimalist rings for men and women. These eco-friendly rings are made in Italy using recycled Sterling Silver. Sticking with oxidised silver for a moment longer, these more complex designs from Von Lotzbeck caught our eye. Very unusual! 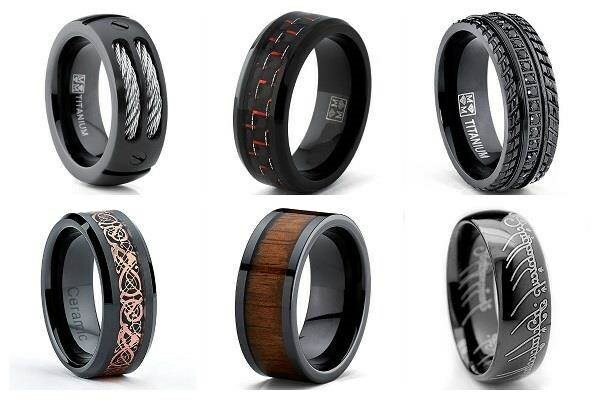 Who says a wedding ring shouldn't look like one of these awesome creations!? Ok, let's get back to black and also back to a more traditional style. 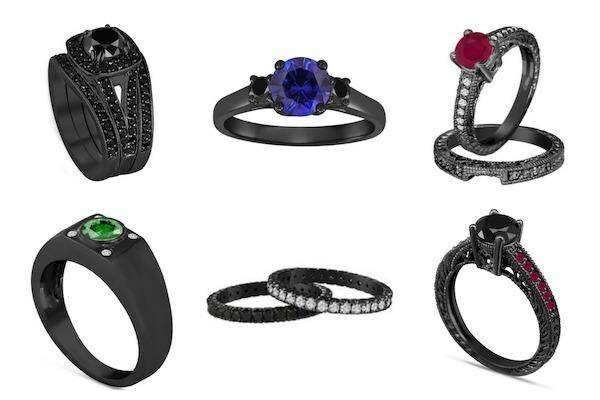 These black Gold wedding and engagement rings are from Front Jewelers. Bridal sets available if you can't bear the thought of just one ring on your finger! 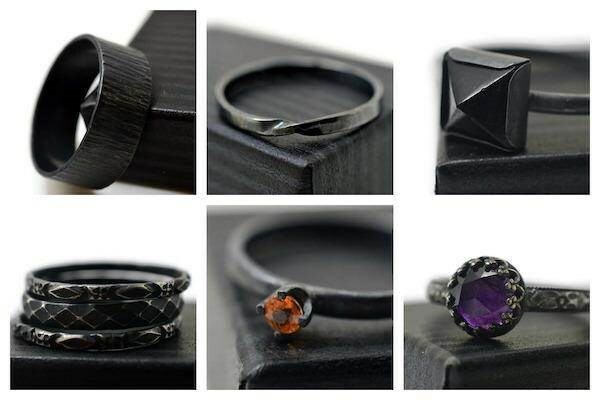 The next rings are made from precious metals which have been given a PVD coating for a deep black finish, then embellished with genuine clear or black diamonds. 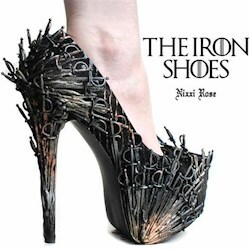 For more info on these and a tonne of other styles check out Jewelry Unlimited. 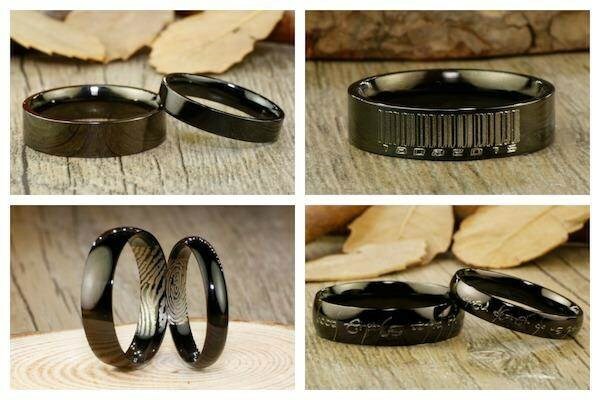 His and hers wedding rings from J Ring Studio are handmade from Titanium, personalisation options include adding your fingerprints! If you have allergies to other metals, these Titanium rings are a great hypoallergenic option. Another hypoallergenic material you could consider would be Carbon fibre. As well as eliminating the risk of an adverse reaction, Carbon fibre is extremely light and very strong. 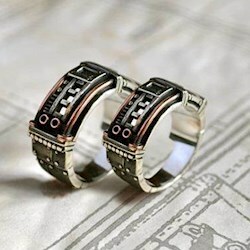 It is also a poor conductor of electricity which means electricians, mechanics and so on may be able to wear these rings for work. A silicone ring can be a good solution for people who want to avoid losing their expensive ring while working or doing sports and so on. You can pick up a women's silicone ring or a men's silicone wedding band from Mudder for not a lot of cash. These aren't just to help you avoid losing your existing ring, they also reduce the risk of you losing your finger in an accident (Google ring degloving if you have the stomach for it). They are safe, durable, heat resistant and non-conductive. If you are on the hunt for a non-conductive ring then ceramic may be another possibility. You would need to check with the manufacturer exactly what materials go into their rings though to get a better idea of conductivity. 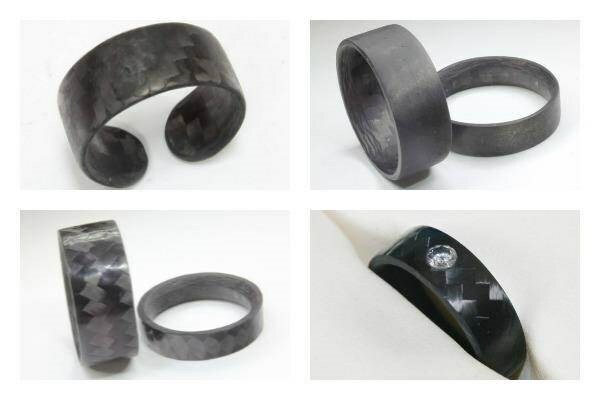 Johan Rust makes some cool ceramic rings, as well as rings from several other materials like the Titanium (which is certainly not non-conductive!) James Bond inspired 'Spectre Ring' below. 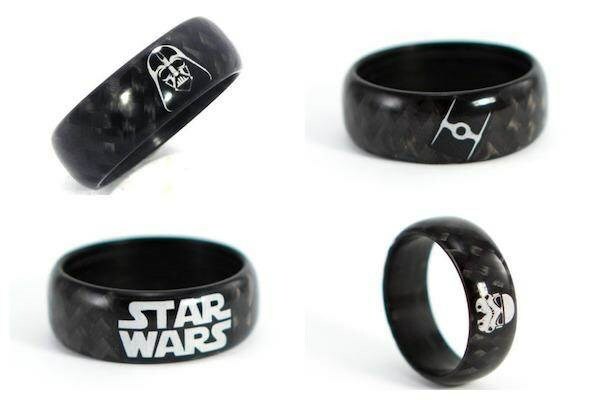 While we're on the subject of film inspired rings, how does a black Star Wars ring strike you? 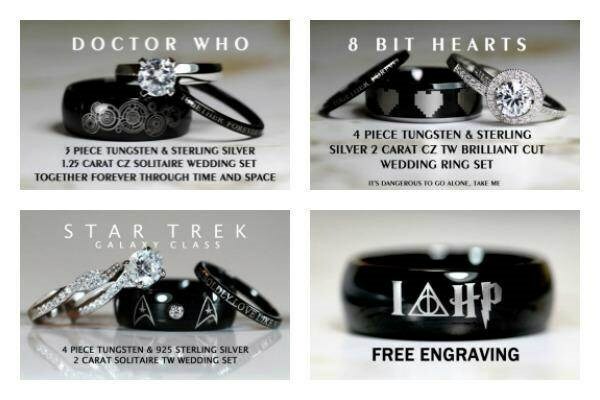 And to fully satisfy your inner geek how about Doctor Who, Zelda, Star Trek or Harry Potter?! 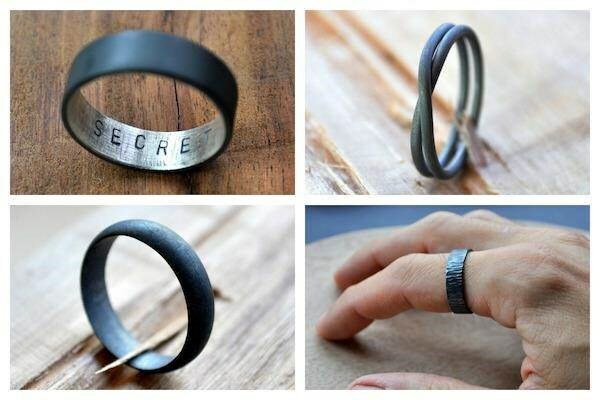 Like the idea of an affordable black Tungsten ring but not keen on the geek and gamer ideas? You may find something more to your tastes from The Jewelry Direct. 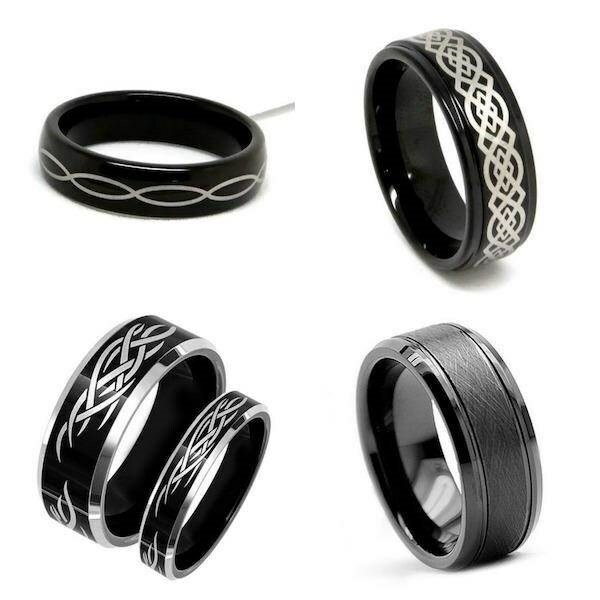 Wedding rings from The Jewelry Direct include laser etched Celtic and tribal designs. 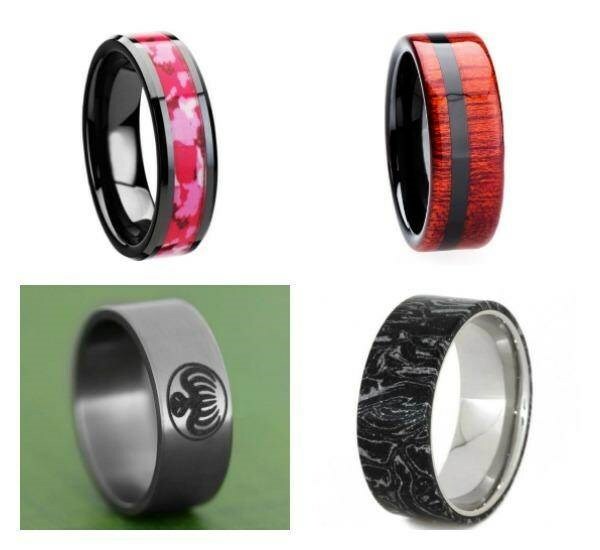 If you're on a tight budget, these Titanium, Tungsten and ceramic rings certainly won't break the bank! The above are from Ultimate Metals Co. whose designs range from Lord Of The Rings inscriptions to real wood inlays. 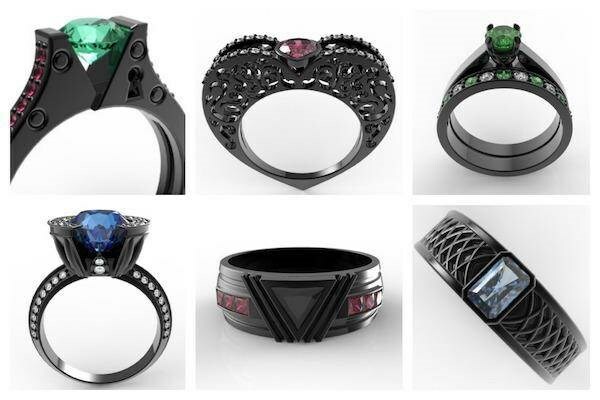 Vidar Jewelry have some unusual designs made with 14K black Gold and diamonds, rubies, sapphires and other gemstones. 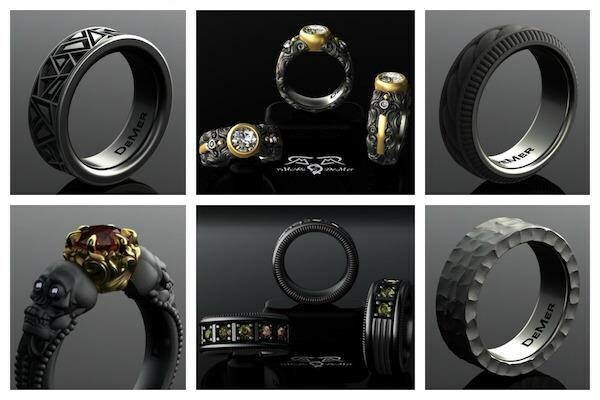 The handcuff design (top left) is just one of the awesome rings that grabbed our attention. 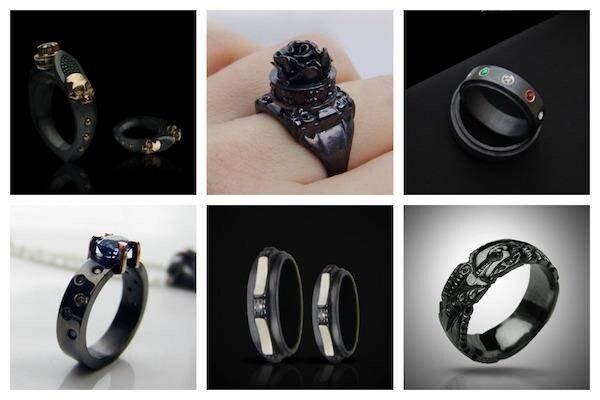 Another designer with some unusual options is Alexander Tyvodar, including rings made from black Silver as well as black Gold. The rest of Alexander's jewellery is well worth a look if you enjoy unique metalwork. 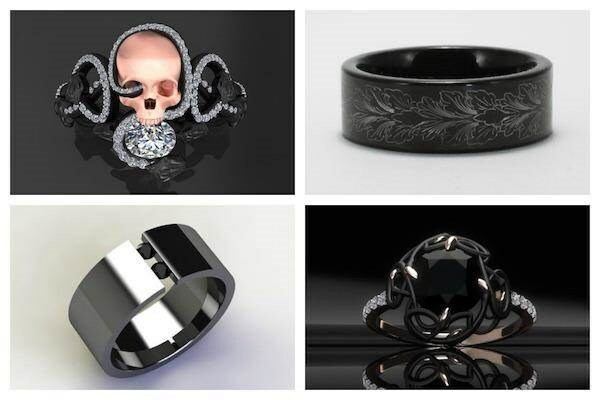 The skull design above inspired us to sniff out some more skull rings for those of a Gothic disposition. One of the more flamboyant skull rings we've encountered comes from Adam Foster. Some of the other designs are a touch more subtle. You will find a whole host of different style rings from this family run business. DeMer Jewelry have also been known to dabble with the odd skull design engagement ring (bottom left), priced at £5388 you need to be sure she's 'the one' though! Dare to be different with original, quality alternative engagement rings and men's wedding bands from DeMer. 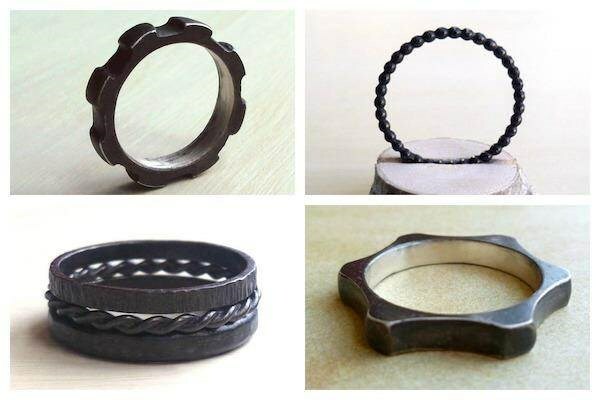 Ok, enough with the skulls, let's have a look at some more rustic looking rings. 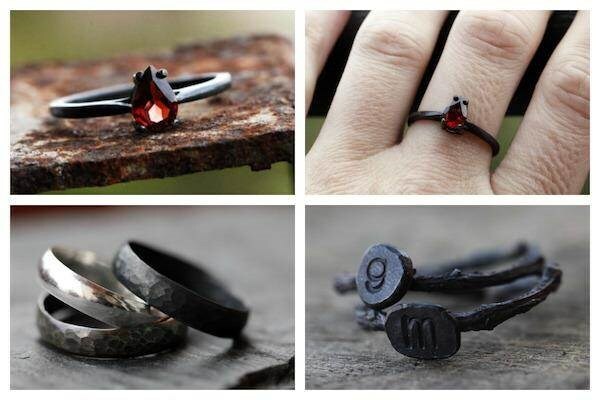 Mis Mundos delicate engagement rings are handmade using traditional techniques. Carpe Diem Jewellery create unique rings for both men and women, including oxidised bronze designs. This Australian brand make some truly inspired jewellery if you're looking for something a bit different. For something a lot different how about Gudbjorg's raven and swan inspired rings. See more award winning designs from this talented Icelandic designer. 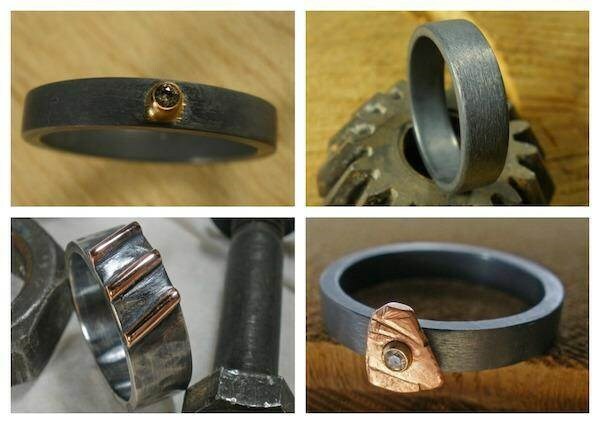 Handcrafted wedding bands and engagement rings by Ohio based artisan Marc Susman. These heavy duty rings from Jewelry Let Go are built to last and no two are ever identical. 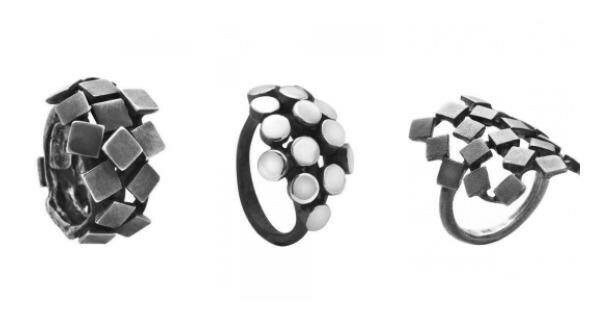 Although some of Liat Waldman's rings are symetrical, we're drawn towards the more offbeat assymetrical designs. If you like the raw, organic look, then some of these rings may appeal to you. 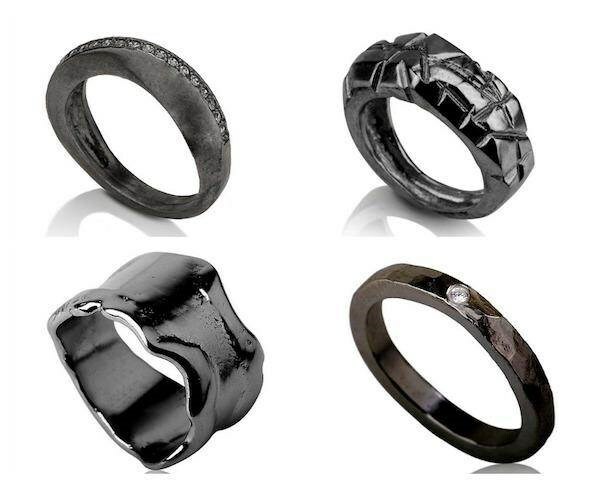 Taking the rough and textured look to it's extreme we have these two rings from CONTOUR Studio. We're a bit in love with these CONTOUR Studio rings, they look like they're from another planet! The selection above demonstrates the eclectic mix of designs available from Fifth Heaven. 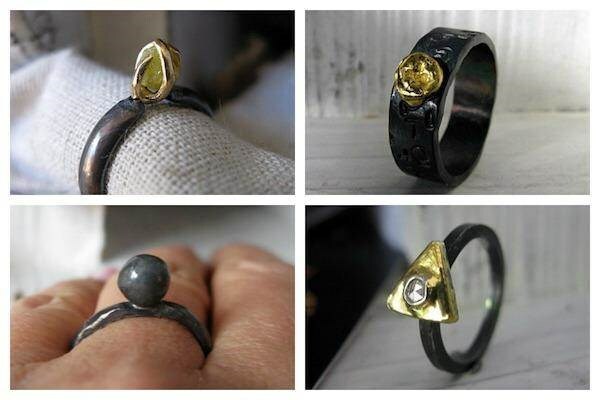 A yellow diamond or a touch of gold can enhance the look of an oxidised silver ring. 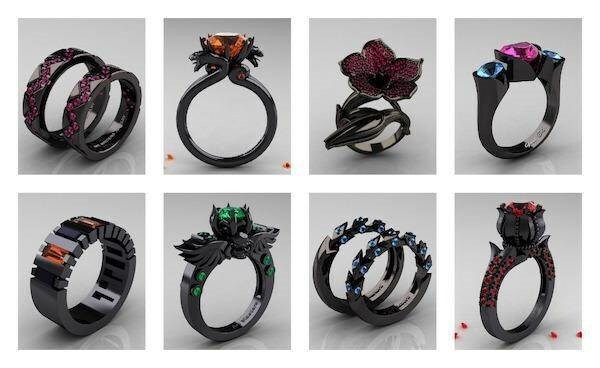 There are loads more completely unique rings in the Hot Rox shop. To wrap things up, we have a taster of the exquisite crafstmanship of Carla Amorim. It's no surprise that various celebrities wear Carla's intricately detailed jewellery. 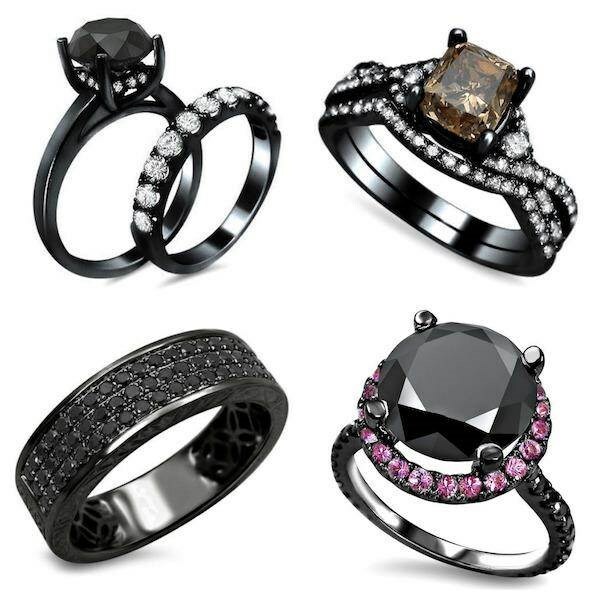 Hopefully you were able to find some ideas in amongst that huge selection of black wedding rings! Right then, what did we miss out? !